Green Day played a club show at Cleveland’s House Of Blues on Thursday ahead of their induction into the 2015 Rock And Roll Hall Of Fame in the city on Saturday. 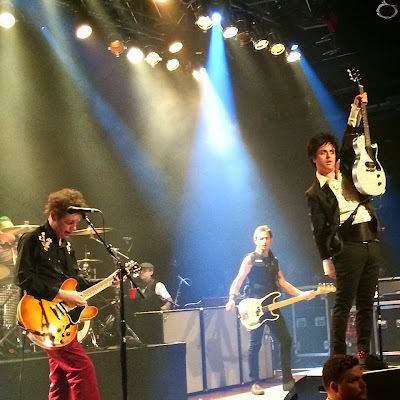 The band delivered a marathon 3-hour show that included a reunion of their pre-Green Day group Sweet Children with original drummer John Kiffmeyer. The set also included a guest appearance by Tim Armstrong of Rancid, who was on hand for covers of tracks by his bands Operation Ivy and Rancid. Formed in 1986, the San Francisco Bay-area band are headed to the Hall alongside Stevie Ray Vaughan and Double Trouble, the Paul Butterfield Blues Band, Joan Jett and the Blackhearts, Lou Reed, Bill Withers, Ringo Starr and the “5” Royales.